Diamond producer's competition law breach to be reviewed on Sept.13 | Russian Legal Information Agency (RAPSI). MOSCOW, August 31 - RAPSI. The Republic of Sakha Commercial Court, Yakutia, has postponed its hearing of Alrosa's lawsuit until September 13, the court spokesperson told the Russian Legal Information Agency. Alrosa is seeking to quash the Federal Antimonopoly Service resolution which found the company in breach of competition law. The court consolidated two Alrosa lawsuits to invalidate the service's decisions on July 26. Previously, the Federal Antimonopoly Service opened a case against Alrosa and the Republic of Sakha for violating competition law, ultimately finding both parties guilty. According to ALROSA, the watchdog made the decision based on a provision in the socioeconomic development contract signed with the Sakha government in March 2011. Alrosa said the contract fails to establish the amount of raw products to be supplied, the prices or the purchasing companies. The contract simply states that Alrosa and Yakutia planned to cooperate in developing the local organic chemistry industry, the company said. 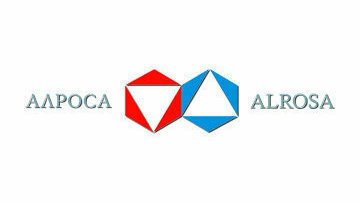 Alrosa is Russia's largest diamond producer. It produces 30 percent of the worlds total diamond output and 94 percent of the output in Russia. The Russian government holds a 50.9-percent interest in the company, while Yakutia owns 32 percent. Eight districts of the republic hold an eight percent stake and the remaining shareholders own roughly nine percent. 15:07 31/08/2012 The Republic of Sakha Commercial Court, Yakutia, has postponed its hearing of ALROSA's lawsuit until September 13, the court spokesperson told the Russian Legal Information Agency. ALROSA is seeking to quash the Federal Antimonopoly Service resolution which found the company in breach of competition law.